Community power station number 6 opens! Brendon Energy’s 6th power station has just been completed – a roof mounted solar pv unit on Wellington Bowls Club. The installation was carried out by EcoExmoor and is already generating green electricity. The Bowls Club will benefit from the free electricity generated and part of the Feed in Tariff money will be ploughed back in to the local community. This is the first power unit paid for by the third share offer, which only closed at the beginning of April. Hopefully many others will come on stream in the coming months. 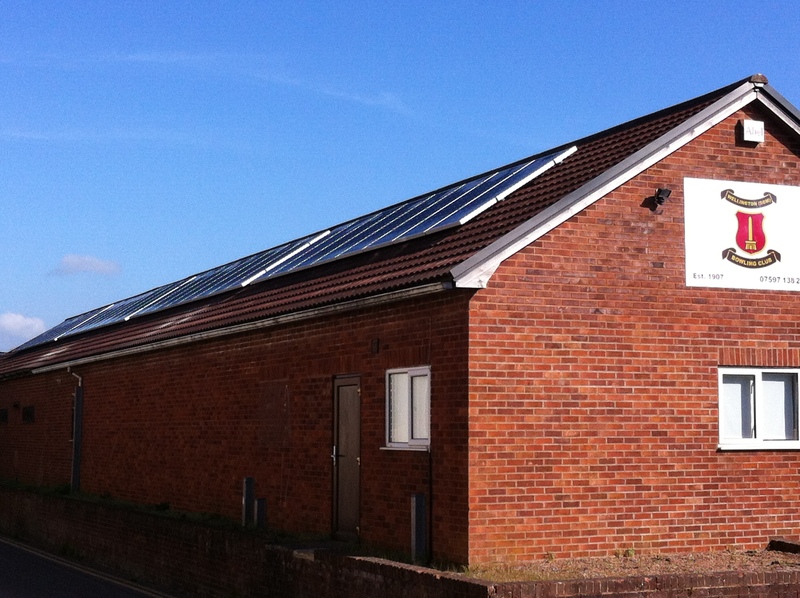 The new investment is already making green electricity and supporting a local community asset. ‹ Share offer raises over £125,000!